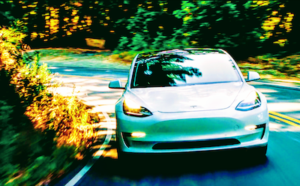 Trevor from the Tesla Model 3 Owners Club reached out to us for a sneak peak at a video they put together that dives deep into just about every nook and cranny of a brand new, first-run Pearl White Tesla Model 3 Long Range. To do the video justice, we broke the video out into 3 segments that cover roughly 20 minutes each. Following up on Steve’s article, I will be diving into the interior and touchscreen details, and then Zach will dive into control stalks, the keycard & app, windshield wipers, driving experience, and a bit more. Diving right into the interior of the vehicle, the video reveals that rear passengers will have what looks to be plenty of legroom and headroom for adults up to ~6’2″. It’s not the cavernous Model S, but for the size of the vehicle and the price, it is very respectable. To me, it looks similar to what passengers would expect in a Toyota Camry. In between the two primary seats in the rear of the vehicle is a fold-down armrest with two built-in cupholders. Just above the cubby for the fold-down armrest is a center headrest that can adjust up to a single higher setting … or back down to sit nearly flush with the top of the rear seats. 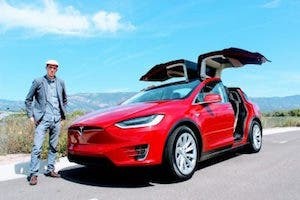 Tesla’s premium package does not sport leather as most traditional vehicle manufacturers do — rather, it includes a planet-friendly, animal-friendly, synthetic leather. Tesla has commented in the past that it actually found synthetics to be more durable than leather. Tucked into this synthetic leather at the bottom and just above it are the latch mount points for child safety seats. Looking forward reveals two air vents with traditional airflow gates and two USB ports sitting just underneath. These two USB ports are only for power, meaning that they do not integrate with the infotainment system. That makes logical sense based on the physical layout but is an important note just the same. 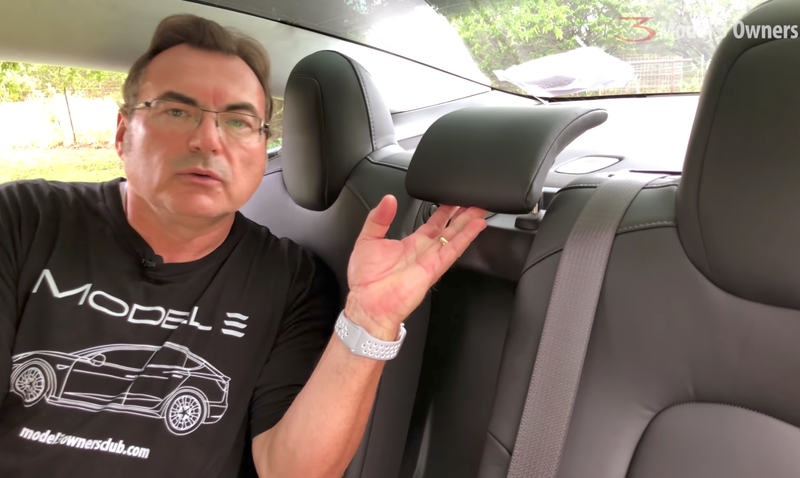 The rear of the front seats are adorned with pockets to store all sorts of knick knacks, and they certainly serve to accentuate the lessons Tesla has learned about how much drivers want places to store all their junk in a car. 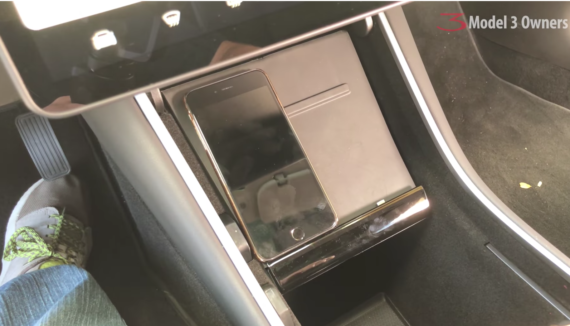 Looking back at the original Model S with no center console, no door pockets, and no seatback pockets, the Model 3 looks much more like a normal car in that respect. It turns out, legacy automotive manufacturers had done something right with car construction after all. Sending an eye skyward reveals the beautiful glass roof. I noted in my recent reviews of the Kia Soul EV and the Chrysler Pacifica Plug-in Hybrid that the glass roof really opens up the space, and I fully expect the same from the Model 3. Tesla also managed to sneak in a few pretty slick coat hangers along the edges, which was another missing feature in earlier models. Hopping into the driver’s seat reveals a fairly standard 12-way power adjustable seat that is included with the premium package. The settings on this lock to the driver profile, which is a huge plus since it promises to make ongoing manual seat adjustments a thing of the past for drivers who split time in a car. The controls allow the seats to recline all the way back until they hit the rear seat, which is a great feature for those looking to relax while at the Supercharger. Digging around under the dash, Trevor and the team were not able to find a visible ODBII port on the Model 3 but it does have what looks like a diagnostic port that could conceivably be used as an OBD port with an adapter. 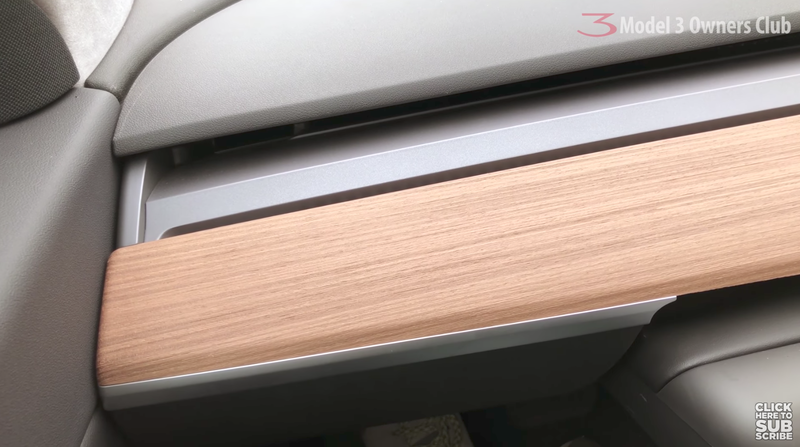 The center console in Tesla vehicles has been through several transformations in the past. The latest iteration in the Model 3 is yet another improvement. Up front, it sports two fully integrated, customizable phone chargers that can be modified to suit the application. The phone docks can be covered with the phones in place, which is a nice feature. Though, considering that the driver’s smartphone is the primary key for the vehicle, it’s not clear when this would actually be useful for most people. Scrolling backwards a bit on the console reveals a center storage area that is complemented by a second storage area under the shared armrest. The rear storage area also sports a single 12 volt power adapter for those still looking to power some old-school devices. On that note, it will be interesting to see how the 12 volt power system in vehicles evolves as more and more cars become electric … will USB C become the new in-car charging standard for all things mobile? Time will tell. 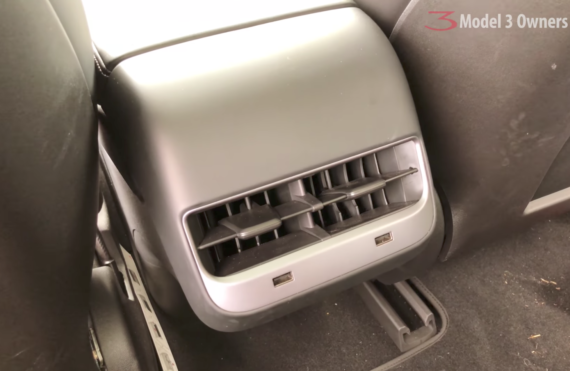 In between the two storage areas are two side-by-side cupholders that sit in very ergonomically friendly positions. Thanks, Tesla. The piano black gloss finish is the same we’ve seen in Tesla vehicles in the past and is prone to all the sticky, goopy, or just oily fingerprints you can imagine. It does look nice when it’s clean, for what that’s worth. One of the most polarizing features in the Model 3 is the dashboard, which is a sharp diversion from Tesla’s earlier vehicles and from most other vehicles on the road. Bisecting the dash from left to right is a bold wood trim piece that Trevor found to be little more than a veneer, which is surprising. That does mean that it should be easily removed or at least wrapped with aftermarket solutions for those who prefer a more muted, modern or just bright pink touch to the dash. At the very front of the dash is a front speaker cover that spans the entire width of the vehicle. It’s not clear how many speakers are tucked in there or where they are located beyond what you can see from the video. Complementing this front speaker are a few speakers in each A-pillar (runs from the dash up towards the driver’s/passenger’s head) and in the doors. 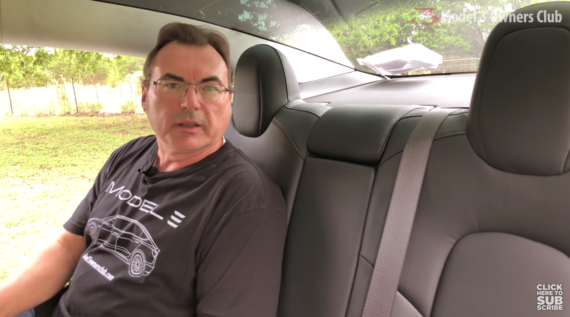 Trevor believes there is also a subwoofer module packed into the rear of the vehicle, but didn’t venture to try uncovering it and risk damaging the car. For those looking to install a dashcam and/or fastpass-style payment sensor, it looks like there is plenty of room behind the mirror and autopilot sensor cluster. On the driver side of that cluster is an awkward driver-facing camera. Technically, it’s a part of the autopilot package that isn’t in use yet (more on that later). Perhaps I’m just a skeptic, but I’m not a huge fan of having an in-car camera watching me do whatever it is I’m doing or not doing while driving (picking my nose). Centered above the front seats is a cluster containing dome lights which are straightforward to use — push to activate. Between them is the hazard light button, which seems like a strange place for that to be, but it does keep the dash clean and clear of buttons. Trevor also noted that this is likely the area owners will look to for powering their dash cams, as the lights have to have power to them. Towards the front are the two sun visors, more functional than in previous Tesla models and matching what you’d expect in this class. 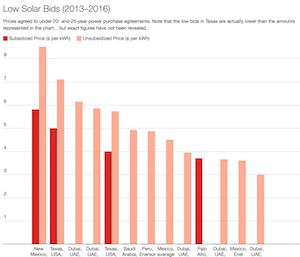 While on a recent CleanTechnica business trip to the Climate Launchpad event in Cyprus, we were thrashed by the sun, which simply could not be shaded by the inflexible sun visors in our Nissan Micra rental. The sun visors in the Model 3 take this to the next level, with integrated vanity mirrors that sport folding magnetic covers reminiscent of an iPad cover. The covers are held on by a light magnetic clasp that keeps them looking clean and in order. The HVAC system is one of the real innovations Tesla is bringing to market with the Model 3. The new system (in the front) does away with the vertical and lateral slats over vents that we have all come to expect in a vehicle. In exchange, there’s a digital control system. The system makes use of a system of internal louvers that allow airflow to be manipulated laterally and vertically from the touchscreen. 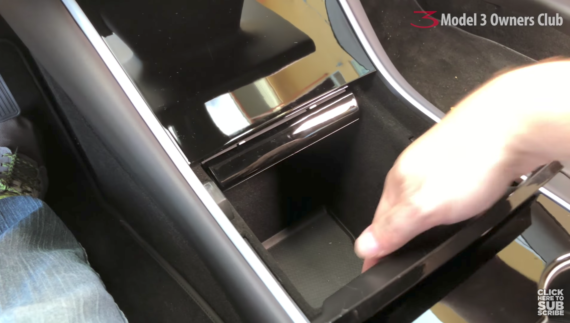 This is best seen in action and the Tesla Model 3 Owners Club video shows the vertical adjustment capability of the system very well. 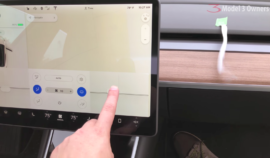 It seems to function well based on the video, and perhaps more importantly, it allowed Tesla to do away with the ugly blocky vents that typically clutter up the dash. Instead, there’s a single thin vent that runs the entire span of the dash. The video kicks off with a disclaimer that the software included in the review vehicle is not the final production software. This clearly shows that Tesla handed out what is essentially beta software to its first customers. 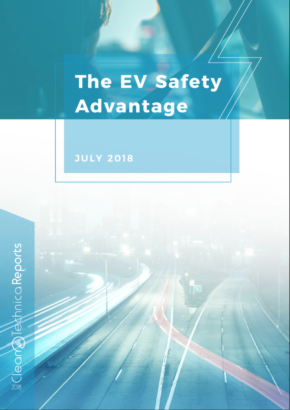 That’s right in line with what existing Tesla customers have come to expect and should be completely safe … but it continues the sharp diversion from traditional automotive manufacturer strategy that has become Tesla’s signature. Diving further into the touchscreen, it contains the controls for just about everything. 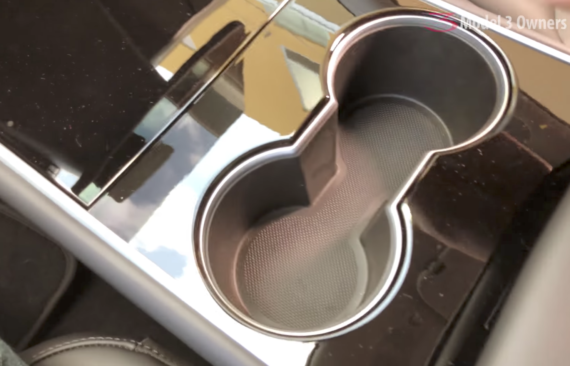 First and foremost in that list is the connection to the scroll knobs on the steering wheel. Earlier Tesla vehicles had a series of hard-coded buttons and wheels, but Tesla scrapped all of that in favor of a very minimalist set of knobs that scroll around on either side. The knobs are contextual, meaning that their function changes depending on which screen or function is being accessed. For example, when adjusting the mirrors, they move the mirrors around. When adjusting the steering wheel, they make it move up/down and in/out. It sounds like they are fairly intuitive to use, but I could see this feature having a bit of a learning curve as users struggle to keep up with the ever-changing function of the knobs. We’ll see. The left side of the touchscreen also gives the driver the ability to pop the frunk or the trunk, or open and close the charging port. 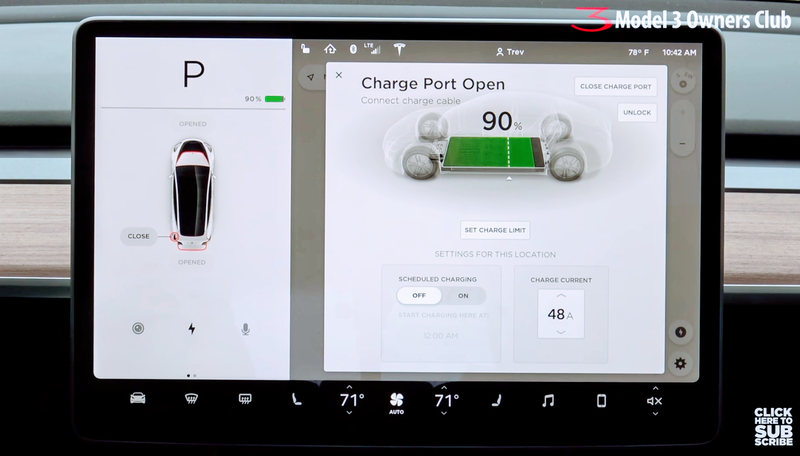 Opening the charging port summons the charging screen, where charging speed can be adjusted (in amps), charging start time can be adjusted to maximize time-of-use rates (where applicable), and you can set the max charge percentage. It can be as low as 50% and bumps up in 10% increments from there, up to a max of 100%. All of the usual suspects are here, with the ability to adjust climate controls, engage the front and rear defrost functions, adjust seat heaters, turn on/off rear passenger air, and the like. The ability to lock and unlock the doors, change vehicle behaviour, and set up the integrated garage door opener are all present in the new interface, just as they have been in Tesla’s other vehicles. The interface is missing a few items of note. First off, there is no place for the rear seat heaters to be adjusted. 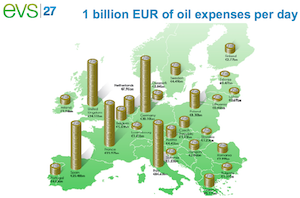 There is also the curious absence of a web browser. Neither of these will be make or break points for most drivers but are worth noting. As these are both likely just software functions that need to be rolled into the production build, they could be fixed anytime in the near future via an over-the-air update. 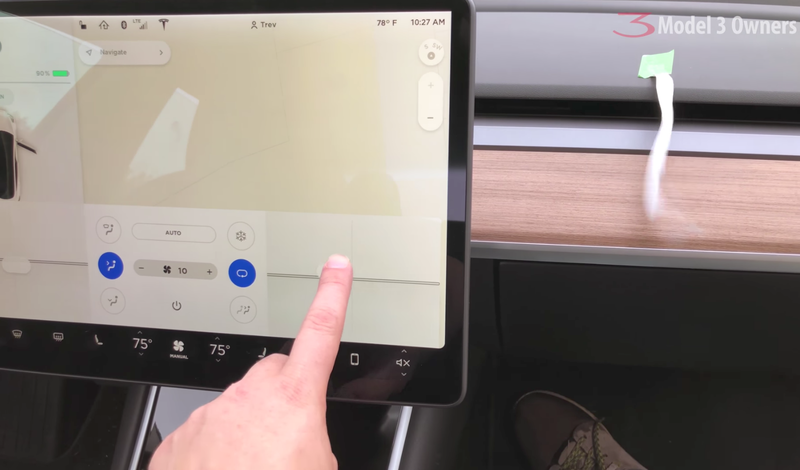 That said, it’s unclear at this point if Tesla sees any purpose of a browser in the touchscreen now that smartphones and tablets are so common. 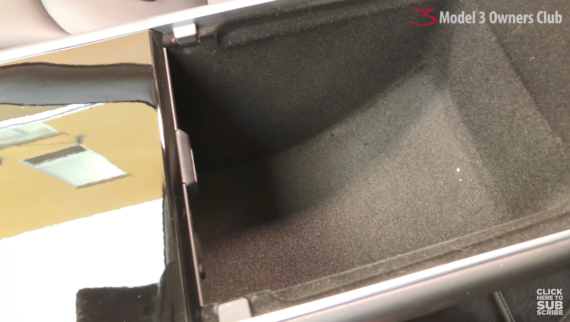 Bioweapon defense mode is also curiously missing … though, this might simply be a feature that Tesla is not planning to bring to Model 3 due to the space needed under the hood to insert a large air filter. 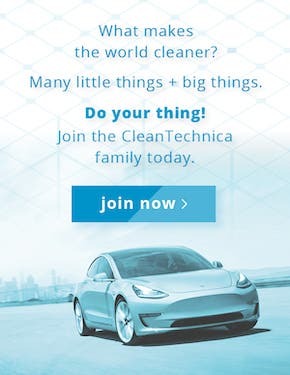 This is, after all, the least premium vehicle in the Tesla lineup. Looking at the main section of the window, it is consumed by the map display most of the time. Tapping the media interface button pulls up a truncated media window. Tapping it a second time pulls up a bit more information. And a third tap pulls it up into full-screen mode. That feels like a lot of taps to me but could make sense, depending on how often users are actually looking to change the internet radio channel, switch playlists, and the like. 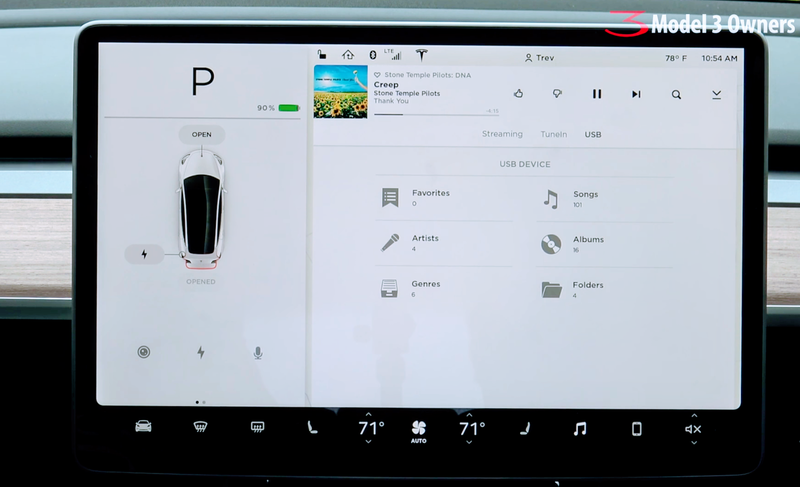 From a content standpoint, the Tesla Model 3 media interface includes the same Streaming and TuneIn options as previous vehicles. (Editor’s note: Presumably, it will include Spotify in Europe, but I haven’t seen that confirmed yet.) If a USB stick containing media files is inserted, a USB option appears to allow files to be played from it. Similarly, a phone can be connected via the integrated bluetooth radio for streaming from a device. 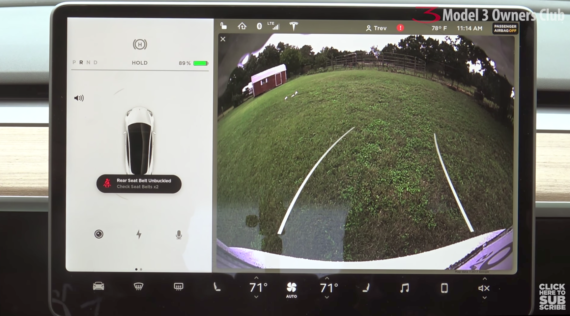 Tapping the camera icon on the display reveals a view that is much more fisheye biased than the cameras in the Model S and X. It looks very functional but is a noticeable shift from previous vehicles. Check out the full video above for an epic dose of all things Tesla Model 3. Special thanks to Trevor and the team at the Tesla Model 3 Owners Club for the extremely well done, in-depth coverage. Zach will carry on the baton and publish an article tomorrow about the last segment of the video … if you really just prefer text, want some details in an easy-to-find format, or for some reason want to see what Zach has to say about the video and Tesla Model 3.